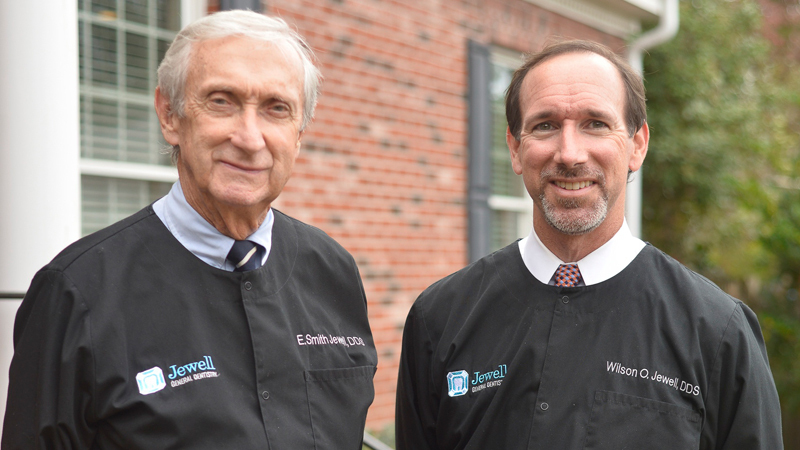 Meet doctors Edwin Smith Jewell and Wilson O'Kelly Jewell, the father-son team at the heart of Jewell General Dentistry. From your very first visit, we make sure you feel at ease. Find out more about what to expect as you begin your relationship with us. No matter what services you might need, we always make sure that you are aware of all the treatment options available to you. 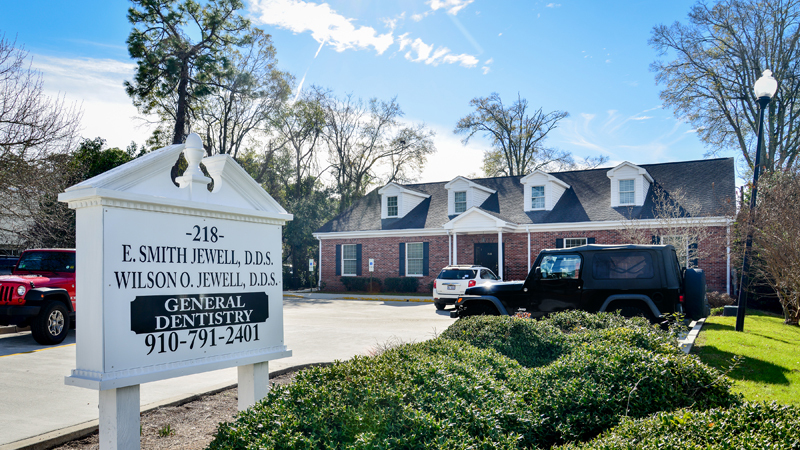 We‘re conveniently located mid-town, not far from the intersection of Oleander Drive and College Road. Stop by and check out our office! At Jewell Dentistry, we consider dental responsibility to be a major piece of the equation to achieving optimal health. Teeth will grow and change our entire lives, so it’s important that we pay attention from the beginning. 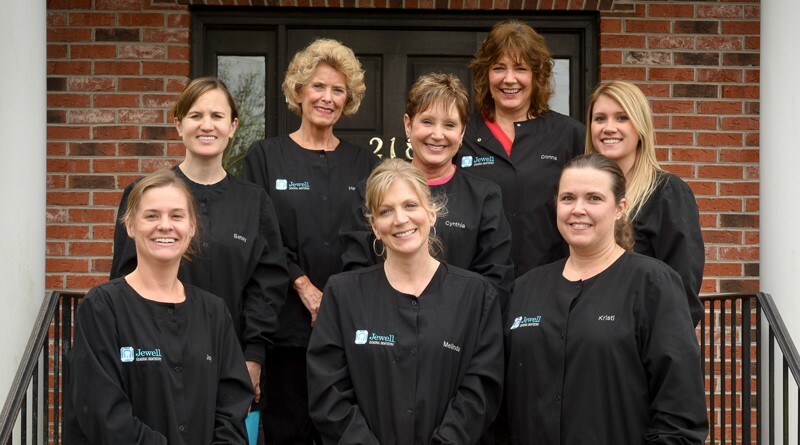 Our team of dentists and staff are committed to recognizing individuals’ dental needs and providing exceptional results to each unique case. 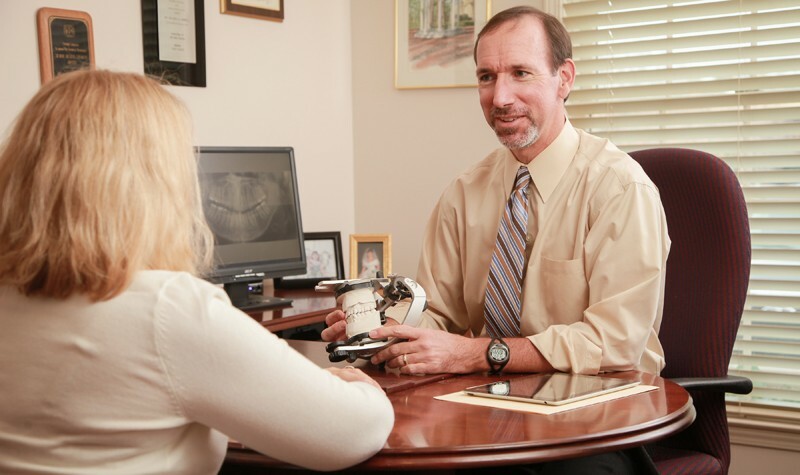 We work to build comfortable, trusting relationships with our patients. No one should ever feel nervous about going to the dentist! Ready for a beautiful smile? Schedule your next appointment with Jewell General Dentistry today! © 2014 Jewell General Dentistry. All rights reserved. Web design & hosting by WordwrightWeb, Wilmington NC.